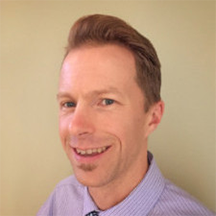 Lyme Connection Editor Janet Jemmott interviewed Thomas Moorcroft, a Doctor of Osteopathic Medicine who treats many people with tick-borne disease. How is your approach different from that of the medical doctors who treat Lyme? I try to take the whole person into account. When people come in they’re not just a collection of symptoms, like heart palpitations and brain fog, they’re human beings experiencing those things. I try to keep an open mind and see what’s wrong and how I can help. I look at basic things, like what is the person’s diet like? How often are people moving their bowels? Are they exercising? Are they capable of exercise? What’s going on psychosocially and in their family life? That’s what I focus on. And then we do a lot of work to improve sleep. I look at heavy metal exposure and possible exposure to mold. I remember on the very first day of medical school, an instructor said that if you listen to a patient for five minutes, then 95% of the time they’ll tell you not only what’s wrong with them, but also how to fix them. So I try hard to listen to the story. I - and my staff - want to know who that person really is. There are clues in their story. We try to treat the whole person, looking at them physically, emotionally, and spiritually. That is front and center in my approach to medicine. In terms of osteopathic medicine, do you do spinal or cranial manipulation? Yes, I do. I think it’s important for folks to understand that there are two fully licensed physicians in this country: M.D.s and D.O.s. We have the same essential training, with the same hours of medicine, surgery, pharmacology, and biochemistry. Then the osteopaths get a minimum of 300 additional hours of manual diagnosis and treatment. Unfortunately, a lot of D.O.s don’t practice that way. I’m in a practice with my wife, and both of us use our hands on a regular basis. The structure of the human body greatly impacts the way it works. I’m sure a lot of people have heard of someone on a long plane flight or a long car ride getting a clot in their leg. Part of the reason for the clot is, in our extremities, we move the lymph and the venous blood and toxins through the body with muscular contractions. But in the chest, the abdomen, and the pelvis, this movement works primarily through pressure gradient changes. This means we need to move and to breathe properly and to relieve our bowels regularly. Many people we see with chronic tick-borne infections have air hunger and their breathing is very shallow. Sometimes that’s a direct effect of the infection, and sometimes it’s because their diaphragm is tight. Maybe they got startled - a person who is startled typically holds their breath - or there’s a physical injury or an emotional injury and their pelvic floor isn’t working properly. You can do some simple exercises that will ease the tightness and improve breathing, and that will decrease anxiety and help to detoxify in the abdominal and pelvic areas. Everybody talks about detox; our bodies are built to detox. I’m going to be lecturing in San Francisco at the end of April on brain detoxification. The foundational pieces for us are to look at the natural processes of the body that assist detoxification. You mentioned cranial work; that’s something I do a lot. There’s so much going on in our cranium - and the whole body - that if we use our hands as an additional diagnostic tool then we can treat people better and improve outcomes. In my practice, I started out using my hands but some people were not responding. I found those people usually had infections. Some people primarily have a toxic insult like infection, some have a structural problem, and some people have both going on. So using your hands is a really neat diagnostic tool. In terms of brain detoxification, there’s a lot of work being done there. In 2013 there was a system discovered called the glymphatic system, which is a fancy way of saying the lymphatics of the brain. One of the ways the brain detoxifies itself is through this system, which works primarily while we’re sleeping. It’s about 65 percent more efficient when we’re in deep sleep, and one of the main things it detoxifies is amyloid, which is the substance that builds up in Alzheimer’s patients. There’s research that shows the body puts down amyloid in response to chronic infections, and we think Lyme may be in this category. So not only do we need to treat the infection, but once the amyloid is put down, we also need to focus on detoxification of that. One of the best ways to do that is optimizing the motion of the cranial bones and the fluid interchanges. I use my hands to do cranial work. Also, proper sleep habits, which could be, one, getting enough sleep, and two, getting deeper sleep will help with brain detoxification. We’ve also been doing a lot of work with incline sleep where your head is up and your feet are down as a way to optimize detoxification. A lot of that research is coming from aerospace medicine, so I always want to find out what’s out there and how to apply it to our patients who come in, whether they have Lyme or something else, because I haven’t met a person yet who doesn’t feel better when they optimize how their body is detoxified. Are there similar therapeutic methods you use to treat Lyme? One of the best things that came out of Dr. Horowitz’s book (Why Can’t I Get Better? Solving the Mystery of Lyme and Chronic Disease) is that the final common path of all chronic diseases is inflammation; that was eloquently put. We’re always trying to find the root cause, be it the infection, the mold, the heavy metals, the electromagnetic field exposure, or the poor diet. Whatever the root cause is, it exerts a toxic affect upon the body. I just followed up with someone who had been extensively treated for Lyme. When she came in to see me, it sounded like yeast and parasite infections were her immediate issues, so we focused on that. Now she’s making great progress, whereas previously none of the Lyme treatments had worked. Many of the folks out there - Dr. Horowitz, Dr. Klinghardt, Dr. Ann Corson and others - talk about complex medical illnesses, often tick-borne, sometimes involving mycoplasma or Chlamydia pneumoniae. The toxins cause inflammation in the body and so I want to focus on removing toxins and diminishing inflammation. With Lyme, I’ll look at the different forms of Borrelia: the cell wall forms, the cell wall deficient forms. Then we have the persisters: the cyst and biofilm, and I’m sure there’s more to come. I structure treatments based on antibiotics or herbals that address those different forms. I often draw a schematic for patients to help them understand. If we’re looking for intracellular treatment, we might use azithromycin or minocycline. Sometimes a double intracellular coverage is needed that could also include a Bartonella treatment. But if I also think there could be babesiosis in the background, I might chose different antibiotics and start stacking things so we’re using the least amount of treatment to cover the most things. What’s interesting is we start to see some overlap in the rheumatologic conditions and the cognitive conditions with mycoplasma and Chlamydophila pneumoniae. If you choose properly, you cover for those as well. I’m always trying to think, can I do something better with two treatments than I can with five? So I’m always thinking ahead five or ten moves, almost like playing chess. So, number one is making sure the patient gets better, but, let’s limit the amount of toxic chemicals we use. They are necessary, but they are toxic. When I choose a particular treatment and a person responds or doesn’t respond, that tells me something. Also, again in reference to chess – am I going to sacrifice a pawn, so to speak, to see how another player is operating? With my treatments I’m trying to figure out what’s going on that the lab tests haven’t shown me. If a person has a herxheimer reaction, I might think that in addition to the Lyme, they might have Bartonella, or maybe Babesia. Or maybe it’s a fungal-yeast-mold issue. Being strategic about treatments is another piece of the puzzle. I see children and pregnant women, so it’s mandatory I do it that way. Three to six-year-old children are not willing to take five or six antibiotics, several different herbals, and natural supplements. It could be that getting them to take three things is a small miracle. I’m constantly trying to figure out the smallest amount we can use. Dr. A.T. Still, the founder of osteopathy, looked to nature for answers. If you look at how the body is designed and functions, you can help children do the things that children do and turn those into treatments. So maybe they’re taking one or two antibiotics or an antibiotic and an herb and a probiotic, but maybe I can get them to detox with a little more water or by focusing on bowel function. Getting them to jump up and down on a small trampoline or even their bed in a supervised situation can help. Movement helps the lymph system work more efficiently. It also increases blood flow, oxygen delivery, and nutrient delivery. Another thing to look at is the use of electronics. Can you stop the use of electronics an hour before bedtime instead of right before bedtime, and then see how this impacts sleep. Are kids doing a lot of gaming? If so, I tell them to use filters, so that they’re minimizing their exposure to bad frequencies of light. Little tricks can help. Some kids will be more than happy to wear yellow glasses because they look cool. 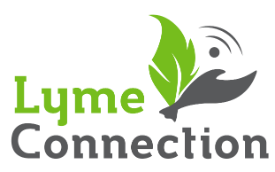 Sometimes our Lyme treatments focus on unburdening that toxic load from the body rather than treating Lyme and Babesia and everything else on the list. As an osteopath, I ask: “What are the primary problems your body is having? Where does it need my help?” If Lyme disease is number four problem and number five problem is Babesia, I need to figure out problem numbers one, two, and three, or they’re probably not going to get better regardless of how much antibiotic treatment I give them. So it sounds like your toolbox contains antibiotics, herbs, and different types of movement therapy. How would you treat someone who has trouble doing anything because movement is so painful? Is exercise ever part of your prescription? Exercise to some degree should always be part of your prescription, however, we have to define what exercise means. Not everybody can ride a bicycle or go skiing. Some people have a hard time getting out of bed to get into their wheelchair. But, the most important piece of exercise that anybody can do is breathing - simple breathing exercises. Sit down for five minutes and close our eyes and become aware of the breath. Whenever your mind wanders and you forget your breathing, just come back to it. Slow down your breathing and deepen it. This helps detoxification in your chest and abdominal cavity, and also your head. This helps decrease the fight or flight response and supports your immune system. My wife and I have been very influenced by the works of the Robert Fulford, D.O., and his students. He felt the two most important things in any kind of treatment were to restore proper breathing and to treat people with love and compassion. I think those are two of the things that are missing the most, not only in our practices, but in our world. Fulford also created some “exercises”, and I put exercises in quotes, because one of the simplest exercises that can be the most profound for patients is something I’ll demonstrate in May at the Western Connecticut Conference. You lie down and you put a little pressure on the sacrum by the way you shift your legs. You support the back of your head a bit and you rest. This calms down the brain, the central nervous system, and the adrenals, lowering the flight or fight response so you can get into the healing-recovery phase. It will also gently open up the neck and the pelvis. If people can do this a little bit, sitting up on the side of their bed or chair, we can teach them very simple stretches that can open up the back and ease some of the strain so they can sit up better and breathe deeper, and also calm the nervous system. Whatever exercise you do, unless you’re in the Olympics or a professional athlete, strive to do 70 percent of what we think we can do. We should give ourselves a cushion because we always think we can do more. So when my folks start out with a more traditional exercise like walking or jogging or bouncing on a rebounder, do a little less of what you think you can do, and if you achieve that, great, then take a day off, and then try it again. Always do just a tad less than what you think your best could be, that way you don’t end up in bed for three weeks. Let’s give ourselves a buffer where the body can have some space to do its work. My goal, based on the philosophy of osteopathy, is to support the self-healing mechanisms of the body. Most of the time when we get a cut or break our arm, that will spontaneously heal without any intervention from us; sometimes a wound may be deep and we need to stitch it together, but the healing occurs because of the forces within the body. I’m always trying to not get in the way of that, and whatever the treatment is, I want to give the body the help it needs rather than commanding the body respond the way I want it to. It may appear circuitous, but we let the body heal in the way it wants to heal, not the way I demand it to heal. And that’s a lot of the reason I think we have good success. Exactly, that summarizes my whole medical approach. Let’s go back to basics. A lot of the time when I’m successful after someone else has been unsuccessful is because I’m playing Monday morning quarterback, so to speak. I see they’ve done 75 MRIs and five years of antibiotics. So I ask: What did we miss? Is the person sleeping? Does the person have regular bowel movements? I had a person tell me that the average time between bowel movements was 28 days. I couldn’t believe that was real and I asked probably 20 times to confirm that. Now this person’s having a bowel movement every three days. That’s a dramatic improvement because it’s one of the primary ways we detoxify. In adults, the largest number of immune cells is in our gut. We hear about the recent work on the microbiome, but it’s been around forever. People have eaten dirt and vegetables straight out of the ground for a reason. They’ve eaten fermented vegetables for a reason. Look at the placebo effect. Thirty-three percent, on average, of all medical outcomes - including surgical outcomes - are due to the placebo effect. In other words, our mind is an amazing healing tool. When we have something that improves somebody 42 percent, I’m going to focus on the 33 percent of that, not the 9 percent. The 9 percent requires money and pharmaceuticals, but the 33 percent is your body doing work. Our bodies are constantly healing. This is not to say that medical interventions are not necessary. Rather, one of the most powerful healing tools we know of is the mind. Use it in conjunction with all your other healing modalities. Consider breathing. There’s been research that shows breath awareness for five to 10 minutes a day on a regular basis can turn off breast cancer genes. We’re just getting started on what the genetics in our body control and how we can intervene. A lot of treatments are very inexpensive or free and can be done at home. We always try to share these with patients. Right, I’m completely with you. I try to meditate before I go to work and I find I have more energy and I’m a lot more focused. I try to practice what I preach. As a student I was always frustrated - and I still am - by seeing patients who are healthier than their physicians. How can you go to a health expert who’s unhealthy? I know things happen in people’s lives; people get bitten by ticks; that’s not by choice. But there are things out there we can do on our own and take responsibility for. If I’m going to ask patients to take responsibility for their health, I should model that behavior by taking responsibility for my health. I fully expect to be the healthiest person to arrive at my office every day – or at least tied. When I tell people about dietary recommendations, they ask me: Do you eat like this? Yup. I live in the world and we travel and I have a daughter who has friends who aren’t as health conscious as we are, so we try to find a balance. I think it’s important to lead by example. Do you have any advice for people who cannot afford to pay out of pocket for medical care (for TBD)? It can be expensive to have a chronic illness, particularly chronic tick-borne diseases. We talked about meditation; it’s free and can improve your longevity. There’s great research being done that shows that it can bring down the sympathetic nervous system - that fight or flight response - that’s a primary driver of the adrenal system. So many people talk about adrenal fatigue. I’ve seen many people on three or four adrenal supplements and they’re working, but then after a while they can’t afford them. It’s important to understand that in osteopathy, they talk about the mind-body-spirit connection, but those things are all one. We basically split those three apart for conversational purposes. I can’t talk about one of those three pieces without impacting the other two. It’s very important to understand that, and if we break it down a little more, if we focus on the nervous system - and it’s centered primarily in the brain and spinal cord - well, that’s directly connected to the heart and the emotions. The heart and the central nervous system are directly connected to the solar plexus region. Butterflies in our stomach or our stomach being in knots are physical responses to emotional stressors. We can also have physical stressors that can make things worse. A lot of times I’ll see somebody with constipation and anxiety that makes the constipation worse. If anxiety’s really bad, diarrhea overcomes constipation. So we look at physical things like breathing, movement, meditation, and diet modification, which can help people decrease their anxiety with dietary improvements that decrease inflammation in their colon. Not everyone can afford organic, grass-fed meat, but we certainly can afford not to eat cookies and Jolly Ranchers and Reese’s Peanut Butter Cups. Eat twice as many veggies as fruits. Limit simple carbs; no processed foods. Drink approximately ½ ounce of clean, fresh water for every pound of body weight. These are a few simple things almost everyone can do. Since we’re so connected to our electronic devices, do you think there’s an impact of them on our health, especially with people with tick-borne disease because they’re so sensitive? I think the research out there is pretty damning for electronics. I turned the Wi-Fi on right before you called and I’m going to turn it off as soon as we’re done. I use my speaker when I’m on the phone or use an air tube, so I try to keep the phone away from me. A couple of important pieces. There are behaviors that help minimize the impact of computers and Wi-Fi on your body. One of them is focusing on your breathing and allowing your body to calm down and really be grounded; meditation centers and grounds you. The other thing is to put your Wi-Fi on a timer and at 7 o’clock or 10 o’clock, stop using your Wi-Fi. When I first learned about this, I turned off my Wi-Fi and didn’t sleep for two weeks – I was detoxing or something from Wi-Fi - then I started to sleep again. Weeks later I had a night where I didn’t sleep. I didn’t think much of it and then it happened several more times and I realized we had left the Wi-Fi on. After that, whenever I was unable to sleep – maybe every couple of months – I would check and the Wi-Fi would be on. So now, instead of remembering to turn it off at night, we don’t turn it on unless it’s needed, and then turn it right off. A lot of us are trying to sleep better so we can detox our brains and let our bodies heal. Another important piece about sleep is our parasympathetic nervous system works primarily at night. So, if you ever see someone getting a massage or taking a nap or getting really relaxed, his or her stomach starts gurgling. Even if you’re meditating or breathing and you feel relaxed, your stomach may start to gurgle. That’s your parasympathetic nervous system doing more work because the sympathetic response – the fight or flight - has calmed down. We need to sleep so our microbiome works better and we can heal our gut. Often I tell people to take their probiotics at night with the goal of improved efficacy and better colonization because this is the time when the gut is most active. Kids read on their electronic devices, and some devices are better than others, but for the most part that blue light is really bad for them. There are filters you can use and there are apps such as night shift that can dim or take the blue light out, and there are glasses you can wear that filter out blue light. The more we can get our people to turn off electronics, the better. Shutting off electronics at 9 o’clock at night would be wonderful. We also do a lot of work with grounding and I recommend grounding pads. We can actually measure the millivolts you are exposed to. Most people’s bedrooms are way higher than the safe and acceptable limits. We can’t turn off a neighbor’s Wi-Fi in an apartment complex, and that can be strong. But we can create a sleep sanctuary. Little things make a big difference. There are four major pieces of the electromagnetic field, but the AC Electric Field is the primary one that negatively impacts us while we’re sleeping. Maybe I don’t have the ability to work on all things, but if I can choose a few things that will impact my night’s sleep of eight hours, which is a third of my entire life, that’s a pretty big chunk of healing. Do you have any parting words for TBD sufferers? Suffering with chronic tick-borne illness may seem like a never-ending, downward spiral. Remember there are many others out there in similar situations. There are many researchers and healthcare professionals out there doing the very best they can to find more answers. Never give up. Everyone’s healing path is unique. What might work for someone else may not work for you. While you’re searching for what will work for you, do your best to be optimistic. Take full responsibility for your life and your healing. Believe in your body’s innate self-healing mechanism and support it. It is absolutely amazing. Do the best you can with where you’re at. Minimize your EMF (electromagnetic frequency) exposure. Increase your detoxification and immune response with good dietary choice, proper hydration, and taking 5-10 minutes daily to focus on your breathing.